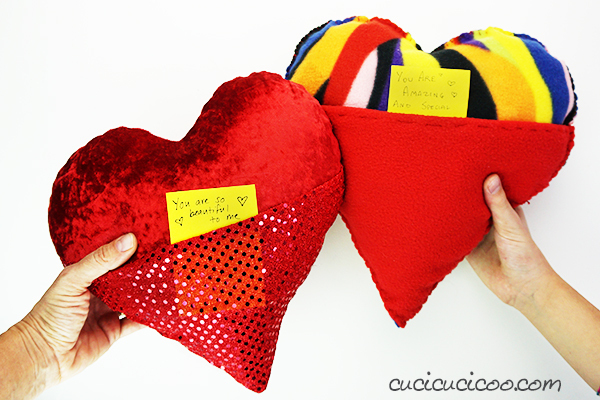 Celebrate Valentine’s Day by sewing up one of these adorable stuffed heart pillows with your kids! The project is easy enough for beginners to sew. The pocket on the front of the plush heart is for putting sweet messages of love for your favorite people to find!